Example of different waterproof deck coating jobs / repairs we have done in Sherman Oaks, California. 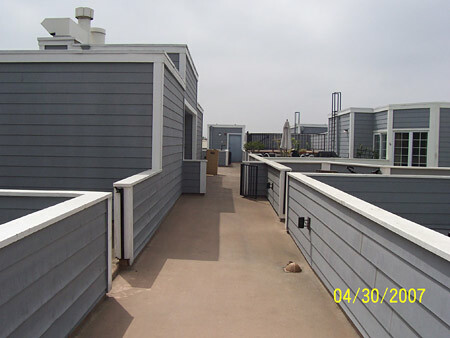 This is a fiberglass deck coating system used on a roof deck of a multi unit complex in Sherman Oaks, CA. SCD., Inc., has the products and experience to provide leak free project every time.